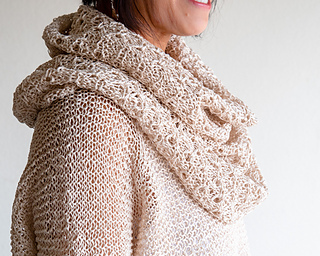 This cowl is all about stitch patterns. 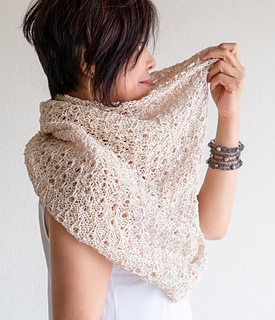 DK Cotton, this handcrafted yarn makes for lovely textures and a unique lace fabric. The cowl is worked from the bottom up in the round. There are decreases on purl rounds between lace stitch patterns. Enjoy it with DanDoh “Elemental Raglan” top for different look.